Still great in September this year. Very popular local and hotel. Visited this summer. It's still fantastic. Very friendly bar staff and nice food. Wish I could visit more often but I live 300 miles away. Nice beer, bit trumpy on a quiet Tuesday evening. 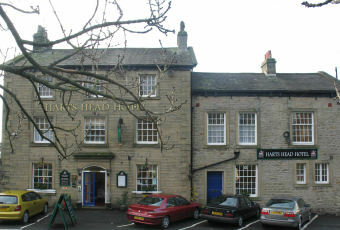 Pulled in here one cold night during a cycling and camping holiday in late October, after trawling round some spectacularly awful pubs in Settle. Wonderful landlady, open fire and several Guiness and whiskies sent me back to my tent fortified against the sub-zero temperatures.